We've teamed up with the Jamboree Foodfest & Bar to offer our guests international cuisine, extensive drinks options and a friendly welcome, well into the wee hours. And, come the morning, our unlimited, diverse breakfast spread (included in your room rate) gets you more than prepared to greet the day. 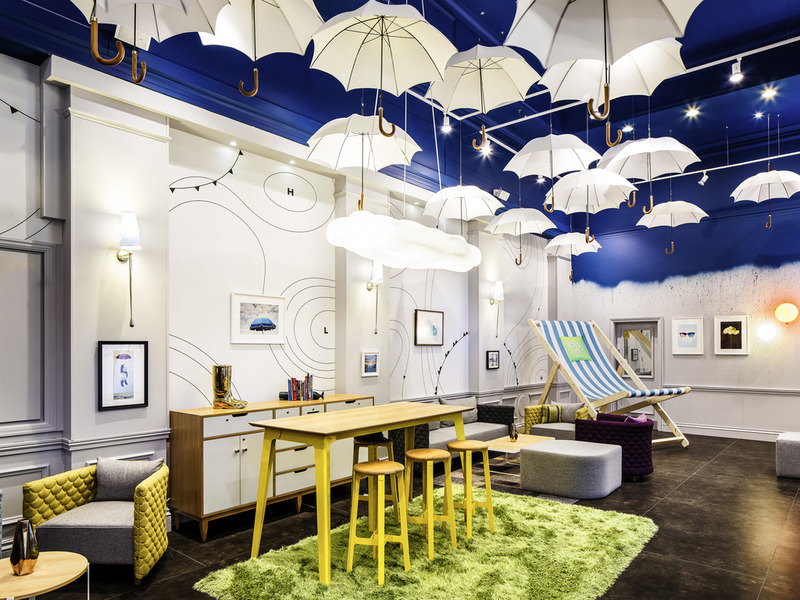 Add in a relaxed noon check-out, power showers in every room and witty design touches throughout, and you're guaranteed a stay like no other, just minutes from the liveliest pockets of Manchester. A thriving city celebrated for diversity and culture, Manchester is home to two world-famous football clubs: Manchester City and United. You can get up close with their hallowed grounds: Etihad Stadium and Old Trafford stadium are each a 15-minute drive. The rooms at the Portland Hotel have a private bathroom with free toiletries. Rooms offer tea and coffee making facilities, a work desk, air conditioning and a hairdryer. All rooms also have a flat-screen TV. Rooms offer tea and coffee making facilities, along with a work desk, air conditioning and a hairdryer. All rooms have a flatscreen TV with Freeview. Come and celebrate a carnival of international flavours at our on-site Jamboree Foodfest & Bar. Kick back with an ice-cold beer, tuck into a plate of something a little different and relax in funky, colourful surrounds.